Daniel S. Miller, CFP, is the President of Miller Financial Group, Inc., and serves clients throughout the country as they transition toward retirement and work toward their financial goals. He strives to help make sure they have the resources needed to provide and protect their income in retirement. Coming from a rural agricultural background, Dan understands the value of hard work and doing what is right and fair when working with others. This insight has helped Dan to develop an appreciation for working hard, being prepared and the need for having a plan — a plan to prepare for the next chapter in your life, no matter what stage of life you are in. 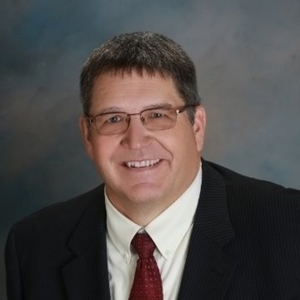 Dan has more than 20 years combined experience in the banking and financial services fields, and has been with Miller Financial Group, Inc., since 2004. Along with his wife Denise, Dan purchased the firm in January 2013. In addition, Dan works with business owners of all sizes to assist them with their qualified retirement plans, employee benefits, and their personal succession planning goals. Being a small business owner himself, he understands what business owners need to run their operations efficiently. You can also tune in each Monday morning to hear Dan co-hosting their weekly radio show, Let's Talk Money! He graduated from the Missouri School of Banking and earned a bachelor’s degree from Kansas State University in animal science with a business minor. He’s obtained his Securities registrations for Series 6, 7, 63, 65 and is licensed in Life, Health & Disability Insurance. He is also a graduate from the College for Financial Planning and earned the CFP® designation as a CERTIFIED FINANCIAL PLANNER™ professional in 2008. Dan is a published author having contributed industry-related articles and wrote his first book, Retirement Built to Last: Planning for When the Paychecks Stop. The book was written to help retirees, and those approaching retirement, understand the importance of having a retirement income plan tailored to their situation. He and his wife Denise have two grown children, Jackson and Andrea. They enjoy spending time with their family going to sporting events, tailgating at college football games, and spending time with both sides of their family and their friends. Dan also enjoys staying connected with his family’s registered Angus cattle operation and helping out when he can. Denise and Dan also enjoy traveling to the Colorado Mountains, the Black Hills, Phoenix, and the Lake of the Ozarks whenever they get a chance. Daniel S. Miller is an investment adviser representative of, and securities and advisory services are offered through, USA Financial Securities Corp. Member FINRA/SIPC. A Registered Investment Advisor located at 6020 E Fulton St., Ada, MI 49301. Miller Financial Group is not affiliated with USA Financial Securities.